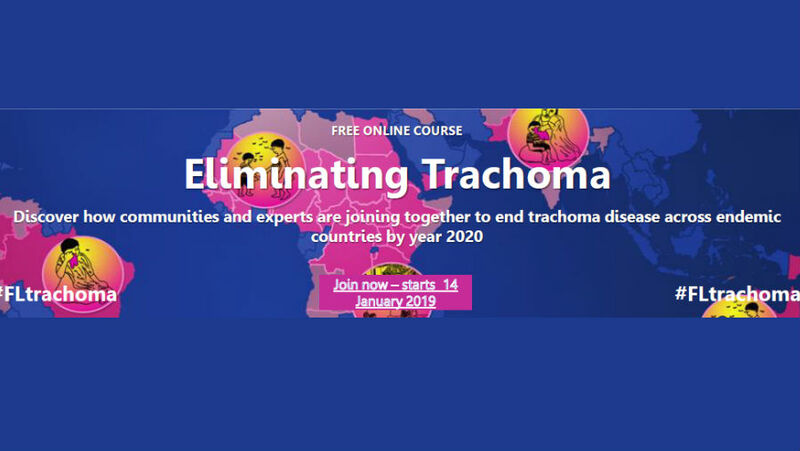 The International Centre for Eye Health and London School of Hygiene & Tropical Medicine are re-running the successful free online course on Eliminating Trachoma from January 14, 2019. This course aims to inform and support the personnel implementing and managing trachoma programmes at a district and community level. Additionally, the course will provide insights from stakeholders, experts and professionals as they share successes and resolve challenges to achieve elimination of trachoma. Duration: 5 week course. 4 hours per week. Register for the Eliminating Trachoma course here.